Stockton, son of Jazz legend and Hall of Famer John Stockton, has signed another 10-day contract with Utah. The news comes on John Stockton’s 56th birthday. It was first reported by Shams Charania of Yahoo Sports. 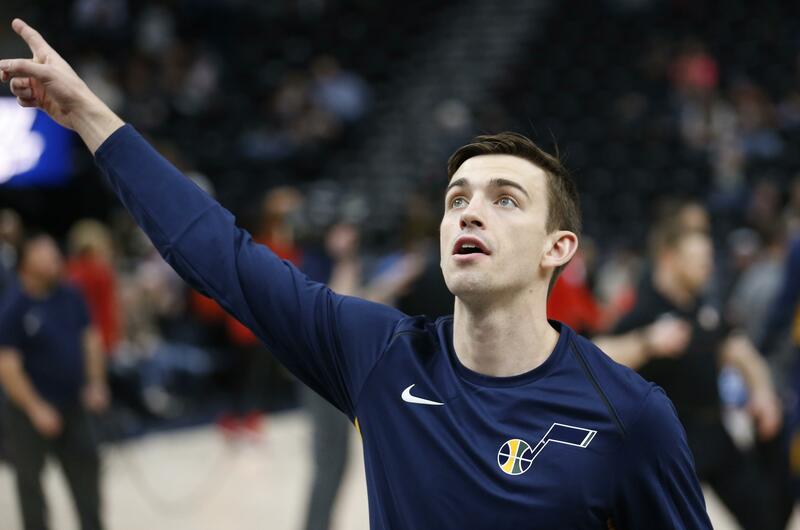 David Stockton hit a pair of free throws in a 3-minute stint late in Utah’s 110-91 win over defending champion Golden State in Oakland. It was Stockton’s first NBA playing time since a three-game run with the Sacramento Kings in the 2014-15 season. Stockton has played four years with Reno in the G League and was an all-star selection this season. He also played for the U.S. team in FIBA World Cup qualifying last month. John Stockton, the NBA’s all-time leader in steals and assists, retired after the 2003 season. Published: March 26, 2018, 3:12 p.m. Updated: March 26, 2018, 9:06 p.m.